Our first photo is another photo taken of a photo! 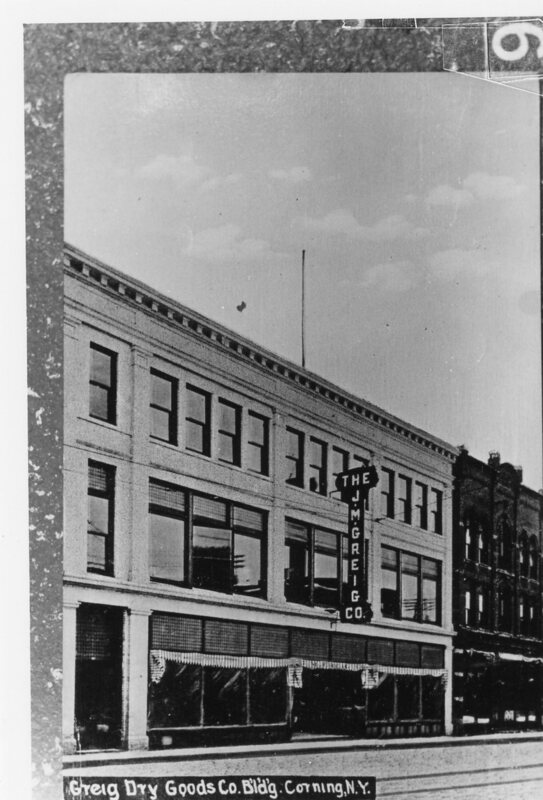 This one features the J. M. Grieg Dry Goods Store which I’m guessing what on Market Street in Corning some time in the past. 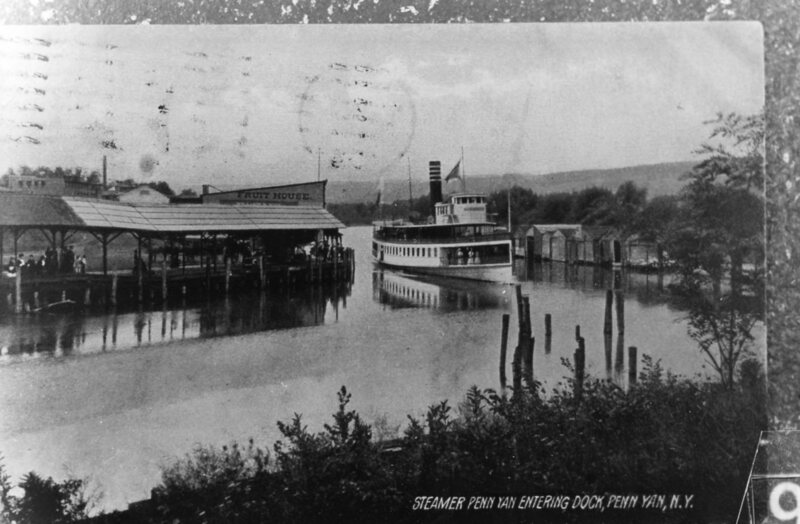 Our second photo of today shows a postcard of a steamboat coming into the dock in Penn Yan, NY. 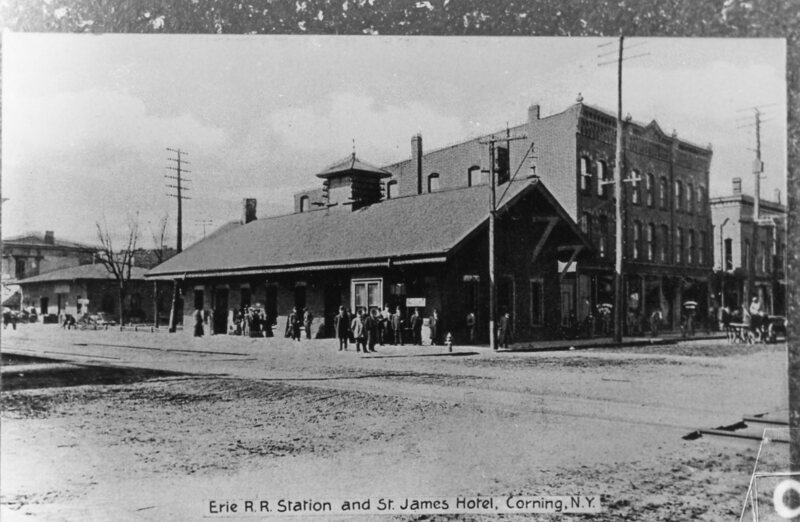 And our third photo is of a postcard of the Old Erie Railroad Station and Saint James Hotel that once graced the city of Corning.